Life is about experiences and riding a great motorcycle is a memorable experience to give as a gift. 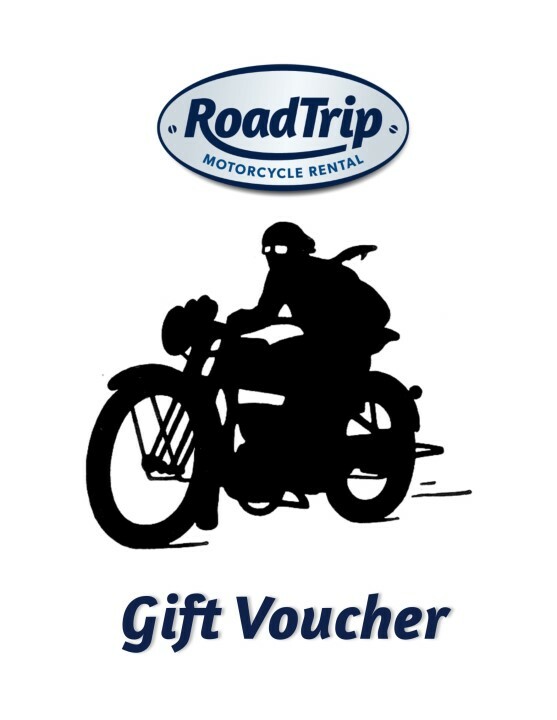 RoadTrip Motorcycle Gift Certificates for motorbike hire are an ideal and flexible gift to give to your favourite rider for Christmas, birthdays or another special event. They can head off for a day’s riding round the south of England, or maybe a longer trip to something like the Isle of Man TT. There are plenty of great events to ride out to. There are two options – either a fixed cash amount to spend how they wish or, if you’d prefer, a gift voucher for a specific motorcycle rental. For example: you could buy a £50 gift certificate towards the rental of any motorcycle; or you might want to buy a gift voucher for a specific motorcycle rental such as our Ducati Panigale or a BMW R1200 GS for a day or a weekend, or longer. A motorcycle rental gift certificate is a great gift as an Xmas present, birthday present, anniversary present, leaving present or just a simple ‘Thank You’ – guaranteed to put a smile on every biker’s face. A cash gift certificate can be for any amount you choose from £25 upwards and can be put towards any motorcycle hire in the RoadTrip fleet. If the cash value of the gift voucher is greater than the price of the motorcycle rental, the remaining balance will be available to use for future rentals. The motorcycle-specific gift certificate can be exchanged for a different motorbike rental; or upgraded to a longer rental period by paying any additional balance at the time of booking. So don’t worry if your lucky biker changes his or her mind about which of our great bikes to take out – we can sort it out and give them full value for your money! Give us a call to discuss your ideas and we will be happy to tailor a gift voucher to your individual requirements. Your motorcycle gift voucher will be custom printed for you and presented as a gift card. It will remain valid for an initial period of 12 months. Rentals are subject to availability and our normal terms of hire apply.